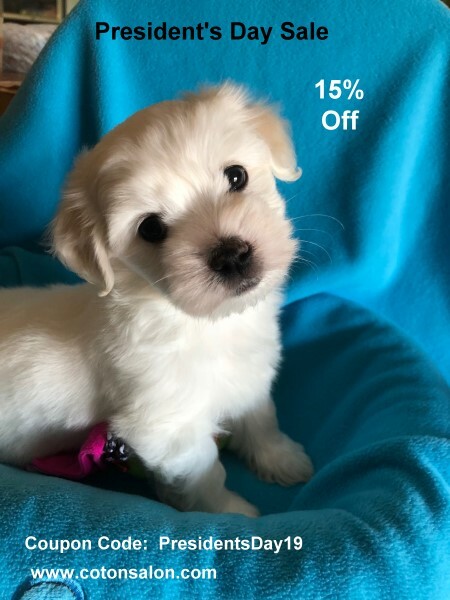 Here at Coton Salon, we strive to find the best dog grooming supplies, toys, & products for your Coton de Tulear or other small breed dog. We've selected professional quality Espana dog shampoo and Jean Peau dog hair detangler to help your dog look great with a minimum of fuss. To keep your dog healthy and active, we have Zanies dog toys for playtime, and dog agility equipment which offers challenging exercise and a great bonding activity for dog and owner. You'll also find products for better health and comfort like slow feed dog bowls and dog cooling pads. For bedtime, we've got dog steps to help your pet get in and out of your bed safely, as well as some cozy doggie beds for dogs who prefer having a bed of their own. 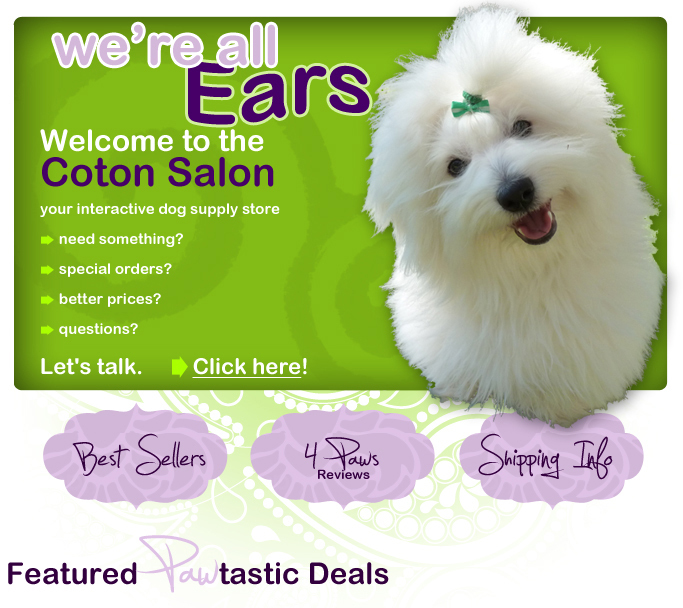 dog grooming supplies, toys, & more from Coton Salon. The Coton Salon's new phone number is 530-363-8170.